This is a Toronto condominium development in the pre-construction phase. Nestled into the High Park neighbourhood, this project promises an idyllic site, just southwest of the Keele and Dundas intersection. The site is home to a Gothic-revival-style church on a one-acre lot. While some modern additions to the church will be demolished, the original portion, built in 1907 will be retained and demolished. You can choose from condos. There are 77 units in total. Also, there will be two levels of 107 underground parking spots and 78 bicycle storage spaces. There are several amenities available for residents, including one-story greenhouse, internal landscaped courtyard, lounge, fitness centre, rooftop patio, etc. The location of this project offers several advantages to residents. Within 12 minutes, residents can reach High Park subway station while Dundas West subway station is accessible within 15 minutes. Besides, the area surrounding this project services 6 different transit routes to get residents around the city in very less time. The Gardiner Expressway is just minutes away. There are a number of major schools, cafes, and parks in the vicinity. Relatively a new real estate developer on the scene, TRAC Developments Inc. is involved in one of the most exciting projects in the Greater Toronto Area. 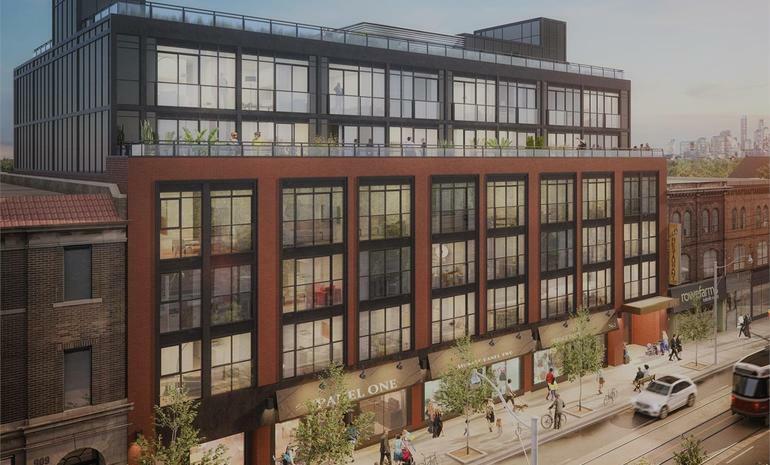 They are the major developers overseeing this project- a development that is going to revitalize the Junction neighbourhood and bring modern luxury living to the area. In order to design the new project, this developer has brought in one of the most sought-after architecture firms in the GTA. It is a picturesque and exciting neighbourhood. This developer also aspires to bring more density to the area.